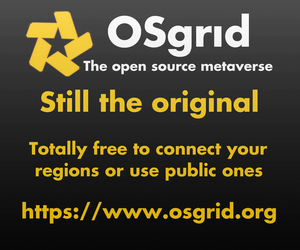 The top OpenSim grids saw a record increase in active users this month, and a near-record increase in region counts, despite the summer season and a lack of stats from a major grid. The top 40 public OpenSim grids gained 2,109 regions this month, for a new record high of 46,907 regions. They also gained 7,012 registered users, for a new high of 357,155 users, and gained a monthly record of 1,638 active users, for a total of 19,491 active users. Zandramas, a mid-sized commercial grid, did not release its numbers this month because of a a glitch relating to the upgrade to the latest version of OpenSim. Zandramas, as well as other grids, was hit by the same glitch last month. Zandramas was a top-ten grid by popularity in May. Total regions on top 40 OpenSim grids. The chart above only tracks the land on the top 40 OpenSim grids. There were a total of 213 active grids this month, 182 of which reported their statistics. Those 182 grids reported a total of 48,979 regions, 374,162 registered users and 21,746 active users. I no longer remember why I started tracking just the top 40 grids separately in the first place, but now I’ve been doing it too long to stop. The biggest gainer was Metropolis, which gained 780 active users compared to last month. However, most of that increase was due to fixing last month’s stats bug. In May, when accurate data was last available, the grid had 1,252 active users, so while Metropolis did post an active user increase over the past two months, it’s not as dramatic as it appears at first glance. The other major gainers were InWorldz, which gained 665 new active users, OSgrid with 403 more active users, and Kitely with 83 more active users over the past month. The closed commercial 3rd Rock Grid is experimenting with hypergrid access, grid founder and general manager Terry Ford — also known as Butch Arnold in-world — told Hypergrid Business. 3rd Rock Grid is the fifth most popular commercial grid and is best known for its live music scene. It’s been growing steadily over the past couple of years in land area, but its active user numbers have stayed pretty level, averaging just around 400 active users. By opening up to the hypergrid, the grid will be able to promote its events to residents of more than 100 different hypergrid-enabled grids, who have a combined total of nearly 10,000 active monthly users. Grid residents will also be able to start purchasing content from the Kitely Market, which delivers via the hypergrid. In other grid news, Tommy Parrott — also known as Tommy Rock in world — has joined the 3rd Rock management team. 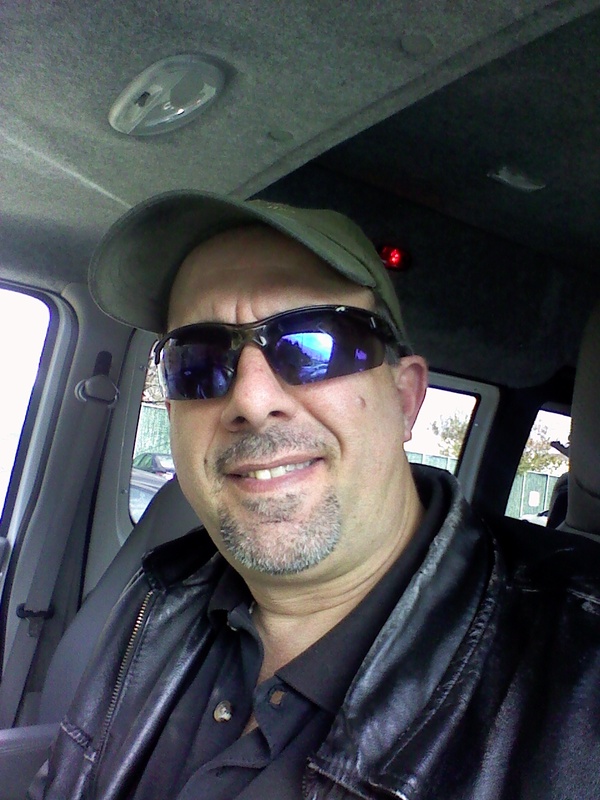 He brings with him eight years of virtual world expertise, specializing in in-world processes, such as scripting and building, viewer related issues, in addition to his expert customer service and managerial experience. The grid has also rolled out a new welcome center to make it easy to find must-have items such as animation overriders, translators, full avatars, and other goods. Also new is the 3RG Arts Center, a new region focusing on the visual and audio arts. Finally, there’s a new nightclub on the grid, Whispers. For music and other events from 3rd Rock Grid, check out their events calendar. Zandramas and Lost Paradise, both mid-sized commercial grids, are now offering variable-sized regions. Lost Paradise has already tripled its land area as a result, going from 442 to 1,522 standard region equivalents. Meanwhile, Zandramas — which began offering $35 no-prim-limit regions this spring, and also recently became the first closed commercial grid to accept Kitely Market deliveries — is continuing to push the envelope with its new “ZanFinite” variable-sized regions. According to a grid spokesperson, these regions have been selling quickly. Zandramas charges $15 per each upgrade of a standard $35 region. So a region upgraded to be the equivalent area of two standard regions would be an additional $15, or $40 a month total. A region upgraded to be the equivalent of four standard regions will be an additional $45, or $80 a month total, for a maximum of 100,000 prims. Previously, variable-sized regions were only available from third-party hosting companies, not from commercial grids. Littlefield Grid, a mid-sized community grid, will host a tour of a virtual replica of Frank Lloyd Wright’s Fallingwater home this month. The LFGrid Adventure Club will meet at the LFG Adventure Clubhouse on Arcadia North region at 2:00 p.m. Pacific time on Sunday, July 20, and then tour the Mill Run region, designed by award-winning builder Camryn Darkstone. Hypergrid visitors are welcome via teleport to lfgrid.com:8002:Arcadia North. 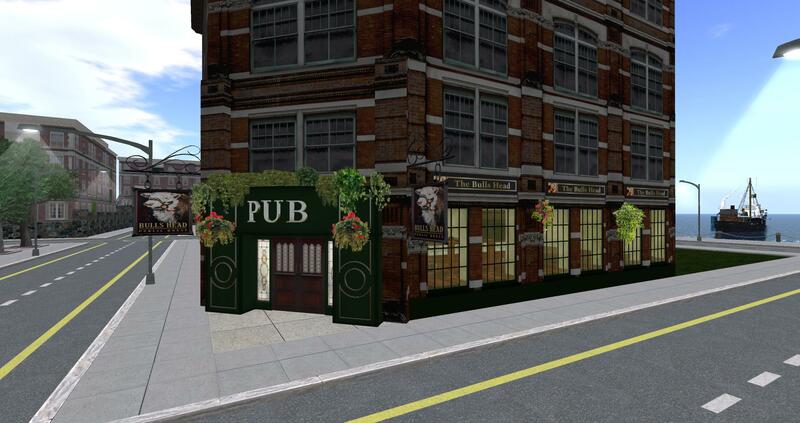 Then the following Sunday, The Bull’s Head Pub will have its grand opening. The pub is located on the Littlefield region. Stop by the Quizzo game, every Sunday evening at 8 p.m. Pacific. Teleport via hypergrid to lfgrid.com:8002:Littlefield. And speaking of Sundays, every Sunday afternoon at 4 p.m. there’s a Mesh Q&A hosted by Aaack Aardvark on the OpenSim Builder’s Alliance region. Teleport via hypergrid to lfgrid.com:8002:OBA. “This is a learning session where you can get instructions, guidance, and tips via voice, or watch live instruction via Teamviewer on using Blender and how to use mesh on OpenSimulator,” said Balazic. Finally, Enigma Nameste’s Garden of the Rising Phoenix has had a face lift, with the Plateau Village replaced with a new park is in its place and a “Random Hypergate Portal” at the landing area. Teleport via hypergrid to lfgrid.com:8002:Phoenix Rising. Check out the Littlefield Grid’s event calendar for all the latest news from the grid. 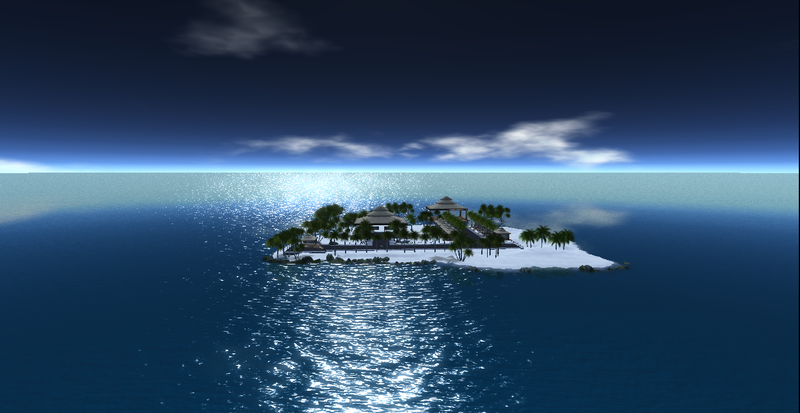 Island Oasis is another grid which gained users, despite the summer heat — 51 new actives, and 394 new registrations. 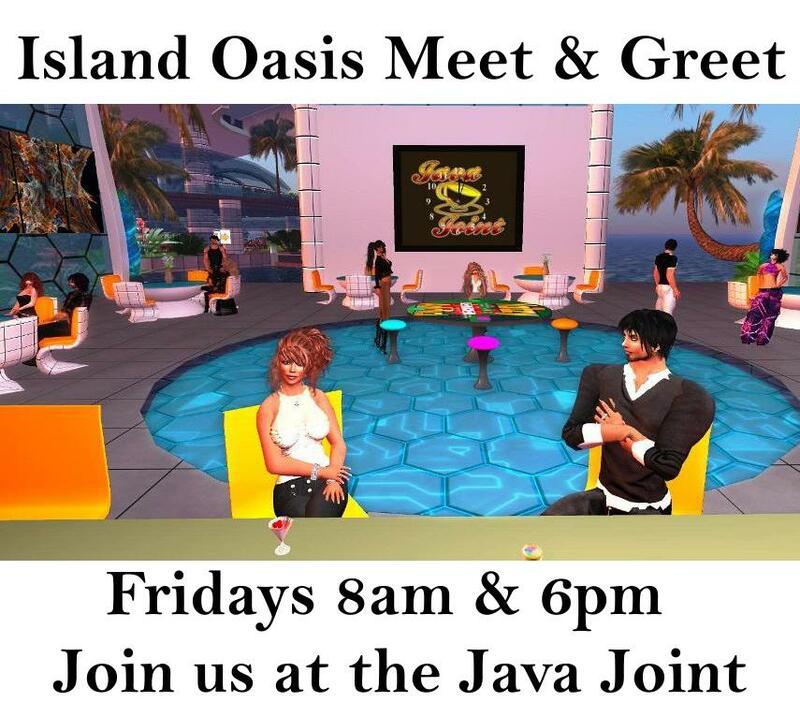 The grid has also been hosting a Meet & Greet event twice every Friday, she said, to help residents get to know the grid owners and one another. The event is held at 8 a.m. Pacific and against at 6 p.m. Pacific to accommodate residents from different time zones. Finally, to help more residents get a chance to become land owners, the grid has begun building a mainland continent. Starting on August 1, residents will be able to purchase quarter regions on this continent. 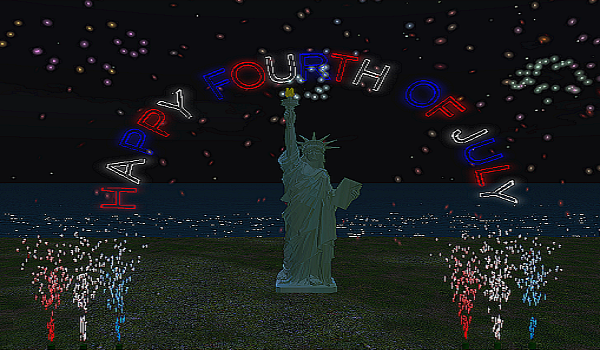 DreamNation, a mid-sized commercial grid best known for having the highest retention numbers in OpenSim, has upgraded to OpenSim 0.8.0, the most recent upgrade of the software, and reports a few bugs. Overall, the upgrade went smoothly, grid founder Waki Janus told Hypergrid Business, but users with the Firestorm viewer could not log in for 24 hours. “We still trying to understand that issue because there various other bugs are popping up that are possibly related,” said Janus. In addition, there are some bugs that could be related to the new default physics engine, Bullet, such as avatars not being able to walk through hollowed-out prims such as arches and doorways, and mesh objects not displaying as they should. Queer Citizen Grid, which serves the GLBT community, has moved to Kitely and is no longer a separate grid. The grid now has five islands on Kitely — the Queer Citizen Welcome Region, the Wonderland EduSim, Virtual World Pride 2015, and Queer Citizen Counseling. All areas are on the hypergrid. AviWorlds has shut down — for the seventh time. Shortly after announcing a move to Kitely earlier this month, grid owner Alexandro Pomposelli — also known as Alex Ferraris in-world — said in a comment that the announcement was premature. He did not explain why Kitely was a bad fit. As it has before, AviWorlds has also shut down its website, Facebook page and Twitter feed, leaving potential residents no way to keep up with the grid’s progress while it is down. And speaking of Kitely — the grid had some good numbers to report this month, with more regions, more active users, and more registered users. It’s current active user count, 909, is a record high for the grid, and it also gained 1,405 new registered users, it’s second-best month in history — after last month. This is unusual, since summer months are typically slower for virtual worlds, especially ones with a strong educational component, like Kitely. 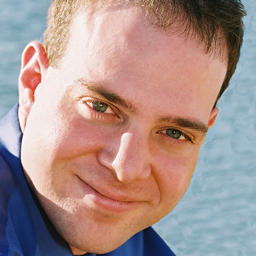 “More people are spending time in-world and the number of scheduled events inside Kitely is on the rise,” Kitely CEO Ilan Tochner told Hypergrid Business. The growth in users was also paralleled by a growth in the Kitely Market, which suffered a brief setback last month after Kitely got rid of the metered region option for free users. Over the past two weeks, the Kitely Market has gained 81 new products, in 167 variations, 98 of which were exportable to other grids. Kitely allows merchants to have multiple options of the same product — in different colors, prices, license terms or other variations. There are currently 2,941 products listed in Kitely Market, containing 5,663 product variations of which 2,254 are exportable. The Kitely Market is the largest multi-grid marketplace. The grid has also made a few performance improvements, including faster mesh downloads. “We also optimized various UDP-related systems which helped us further reduce lag when there is a lot of user activity inworld,” said Tochner. The grid is currently working on upgrading to the latest version of OpenSim, version 0.8.0, and fixing bugs that come up during testing. Virtual Highway, a mid-sized commercial grid known for its events, transformed its Festival Park region into a slice of Americana. 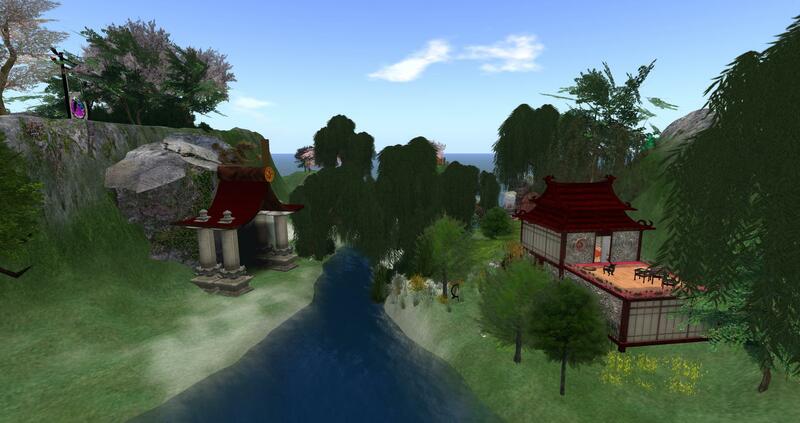 The building contest showed off the residents’ creative imaginations, he told Hypergrid Business. Call thanked Francisco Koolhoven, Danny Berg, gemini solano, Tori Benoir, Trixie Noel, Doreese Dufaux and Logger Sewell for donating prizes for the maze. Virtual Highway marked a first this month as well, with its first tribute concert. The Back Door music venue was host to a stage show tribute of Ozzy Osbourne, complete with a light show. 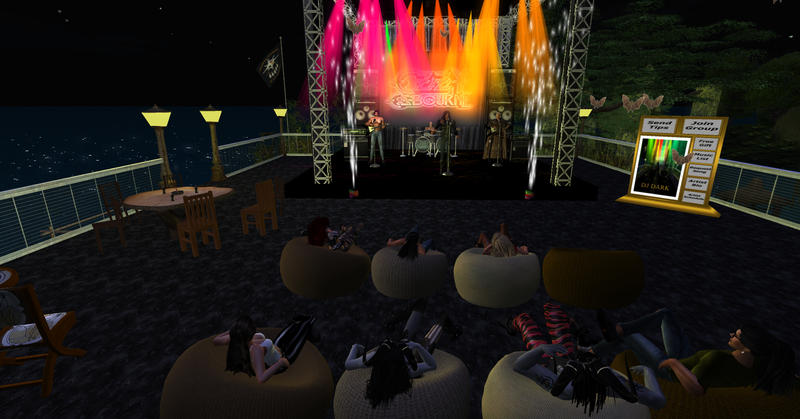 There were music events on the grid as well, including live performances by Russell Eponym, Dilah Halostar, CelticMaiden WarriorLancaster and Katrose Serendipity. Check the Virtual Highway grid calendar to stay on top of future events. It is a Google Calendar, so you can also subscribe to it by clicking on the little button at the bottom right of the calendar. In other news, the grid has completed the upgrades of all its servers and will now be working on upgrading to OpenSim 0.8.0. The upgrade will allow the grid to offer variable-size regions to its customers. And speaking of regions, the grid is offering free plots of 4,096 square meters and 312 prims for new residents. A new adult grid, Virtual Paradise, has launched this month. As part of its grand opening promotion, the grid is offering a special price on land, with a 45,000-prim region for $45, which includes access to a basic region management panel. This is 10 percent off the regular price of $50. The grid has another promotion in place as well. Residents who post an ad linking to the grid will get 500 VS, the grid’s virtual currency, deposited to their accounts. You can follow the grid on Twitter at VPGrid. We have several new grids on our list this month, including Ipsofacto, virtual events grid Calbertville, Cryptic Rising, and two new adult-themed grids — Virtual Paradise and the The Adult Grid. We’re listing 28 grids as suspended this month because we haven’t been able to get to their grid info pages or websites this month, including: 3dcolabStandAlone, 3rd Experimental Primary School of Evosmos, Another World, AnSky, Bess Research, Brasil Tropical, Castle Reaper, CEHS Game Design, Cuddles’ World, Dazzling World, ELIP, Extension, Fine Grid, FleaGrid, FreeLand, Gangster Wars, Ignis Fatuus, Insight Concepts, KUNDGRID, Meridian Grid, Metaverso Estudio Factory, Montefiorino, NeuWald, NuevoMundo, OpenSim Fuchs, Paralax, Realms of the missing, SkyLine Grid, Speculoos, Sweethaven, TaylorWorld, The Itakos, The Verse, True Open Grid, VIBE: Global Health, VIBE: Nova Archeology, and Virtualife. The stats page for the Diva Distro, a user-friendly distribution of OpenSim, reported 815 downloads this month, for a grand total of 31,466 downloads since the distribution was first released in May of 2011. Sim-on-a-Stick, an even more user-friendly, packaged version of the Diva Distro, was downloaded 752 times this month. That adds up to 33,669 downloads since the distribution was first released in May 2011. Sim-on-a-Stick currently uses OpenSim version 0.7.6, but an updated version, with OpenSim 0.8.0, is due out in about a month. Existing users, however, can also take advantage of the built-in update functionality. The even easier still New World Studio, which allows people to set up private grids in just a few clicks with a fully automated installer, recently began publishing its usage statistics. As of today, it reports 28,084 regions on 2,871 different active mini-grids running on this distribution of OpenSim. That’s an increase of 1,123 new regions, and 121 new mini-grids. The stats page for the standard OpenSimulator distribution reported 2,763 new downloads this month, for a total of 32,526 downloads of OpenSim from the official website since the start of 2013, when they began publishing the data. Interpolating based on trends from other distributions, the Hypergrid Business estimate of OpenSim downloads from the official website is now at 125,758. Combing that with with the three other main distributions of OpenSim gives a grand total of 193,764 downloads of the OpenSimulator server software. Meanwhile, Second Life has continued losing regions this past month, according to data from GridSurvey, with 37 fewer regions today than this time last month. The Second Life grid now has 26,054 regions total, down 1,034 regions from this time last year, and 5,794 fewer regions than its peak in June of 2010. The list below is a small subset of existing OpenSim grids. We are now tracking a total of over 840 different publicly-accessible grids, 213 of which were active this month, and 182 of which published their statistics. All region counts on this list are, whenever available, in terms of standard region equivalents — a 512 meter by 512 meter megaregion or variable-size region would count as four standard regions for this purposes of this list. Active user counts include hypergrid visitors.